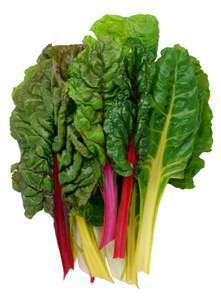 Here is a quick reference guide on how to grow silverbeet (or chard). Silverbeet is an annual vegetable which crops for many months. Position: Prefers coolness to heat, tolerates shade. Well-composted soil. Does not like acid soil. Sowing season: Spring for Summer harvest, late Summer for Autumn harvest. Sowing method: Soak seeds for a few hours before sowing 2-3cm deep. Spacing: After about 3 weeks thin out to 30cm between plants, 50cm between rows. Watering: Mulch lightly, water regularly, don’t let soil dry out. Harvesting: Cut leaves from the outside of the plant and leave the inner leaves to continue growing. Regular harvesting encourages growth. Suitable for: Containers or vegetable beds. Good companion plants: Lavender, onions, beetroot, parsnip, lovage, marjoram, cherry. Hazards: Doesn’t like acidic soil. Don’t let soil dry out. Silverbeet spreads quickly, if you let it go to seed your vegetable garden will be full of silverbeet. Common pests: Aphids, leaf miners, snails and slugs. Common diseases: Relatively free of diseases. Storage: Store in the fridge in a air-tight plastic bag. Tips: Silverbeet makes a good Winter crop as it likes cool weather. Silverbeet is a good vegetable for coastal gardens as it tolerates salty winds. Don’t wait too long to harvest. Young silverbeet leaves make excellent salad greens, older leaves are more bitter.